Callista is living in another time, long ago in Triton’s past. Each day brings new adventure and conflict, she becoming more entangled with Triton and his family of mermen and mermaids. How she handles what she discovers about Triton and herself where nothing is as it seems, is beyond anything she could have imagined. C. L. Sherman enjoys writing novels, movie scripts and creating illustrations for her novels. Her hobbies are playing piano and guitar. 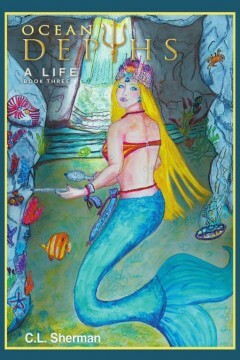 Ocean Depths A Life is the third book in her continuing award winning Ocean Depths series.